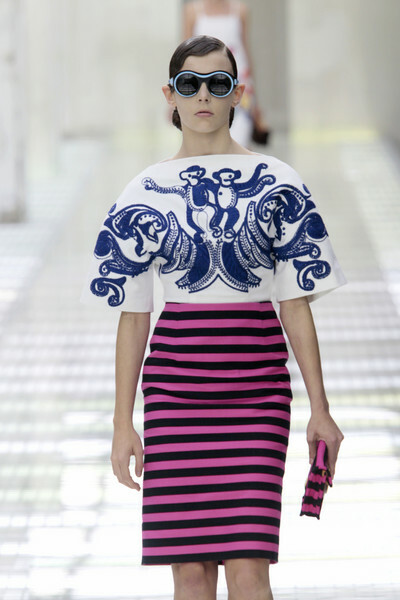 After seasons full of nudes and black & white all designers are opting for vivid, strong colors now. 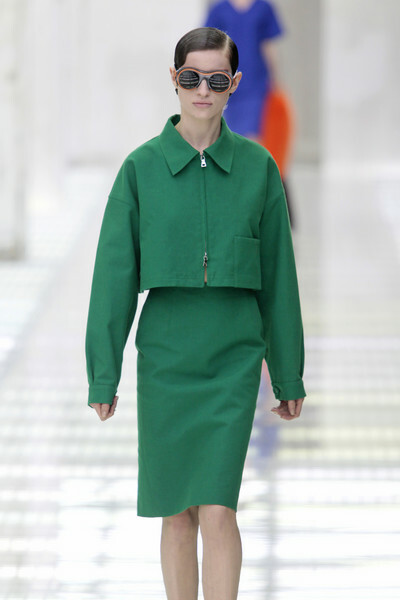 Miuccia Prada too joint the big color-blocking trend. 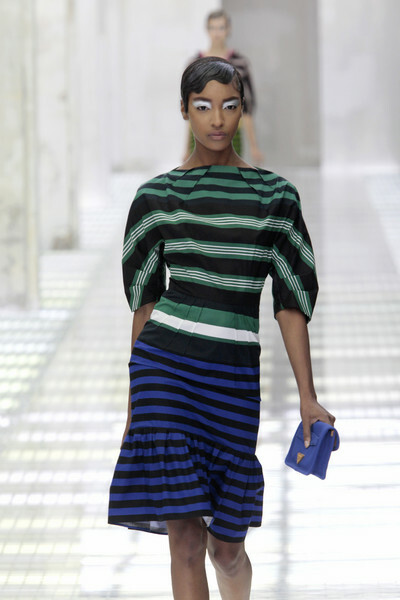 She chose bright orange, green and blue as the main shades of her surprising show. 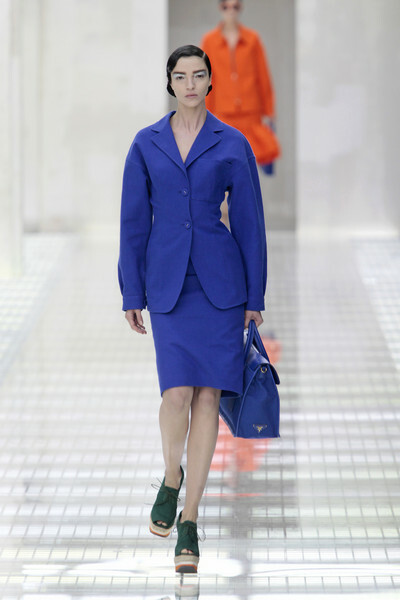 Their was no sign left of her popular feminine Mad Men clothes, Miuccia Prada went in, yet again, a whole new direction. 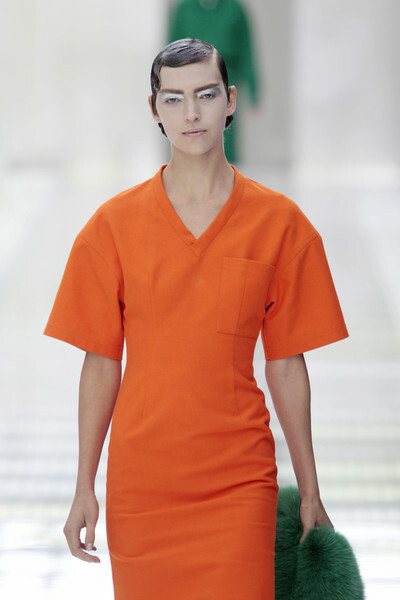 The first few models she sent out on the runway wore plain dresses in just one color. They carried bags and pieces of bright colored fur stoles in their hands and wore the craziest goggle-like glasses. The ones without glasses had silver-colored eyeshadow on and all of them had this thirties-inspired waved hairstyle (only this time with two buns at the back). The models’ shoes (brogues and wedges in three different colored layers) were as eye-catching as the glasses and sure were the hype of the evening. 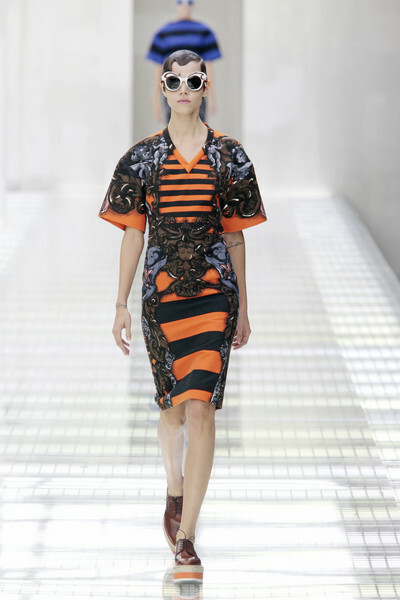 But there was much more… Big bold stripes appeared after several looks. They were there on the clothes, bags and fur stoles. 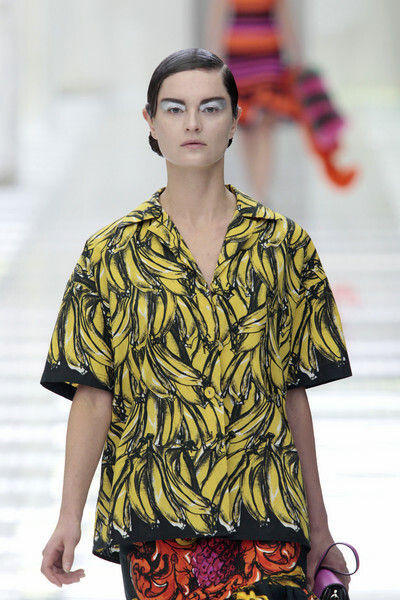 Later they were even combined with other prints, like a banana-print, which in fact looked Ba-na-nas too. Also Dutch model Daphne Groeneveld appeared on the runway in a dress with the print of an African woman with a pineapple on her head. 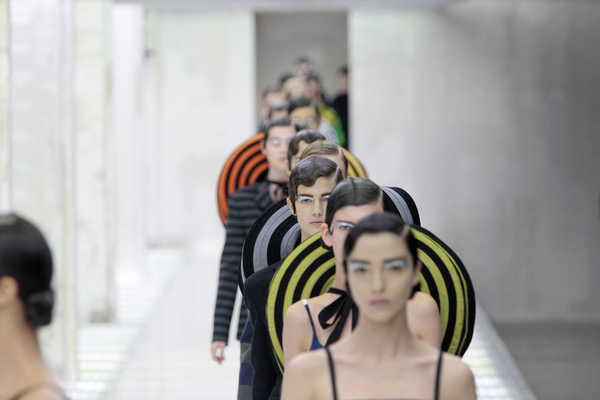 And to continue the South America spirit Mexican hats were introduced. 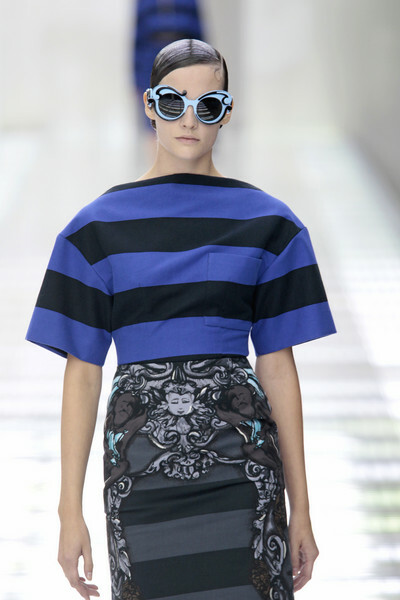 Miuccia said she wanted to do something between minimal and Baroque, something fun, bold and brave. She herself called it exaggerated simplicity, but we would rather just call it exaggerated. Yet no matter how over the top it all might have looked, there will definitely be some trends in this collection, which are going to be picked up all over the world. That’s just how it works with Prada.